If you’re looking for an exquisite, elegant, wedding 6×4 photo booth template layout with roses, sparkle, and some gold or silver frills, this 4 photo layout is a wonderful choice. 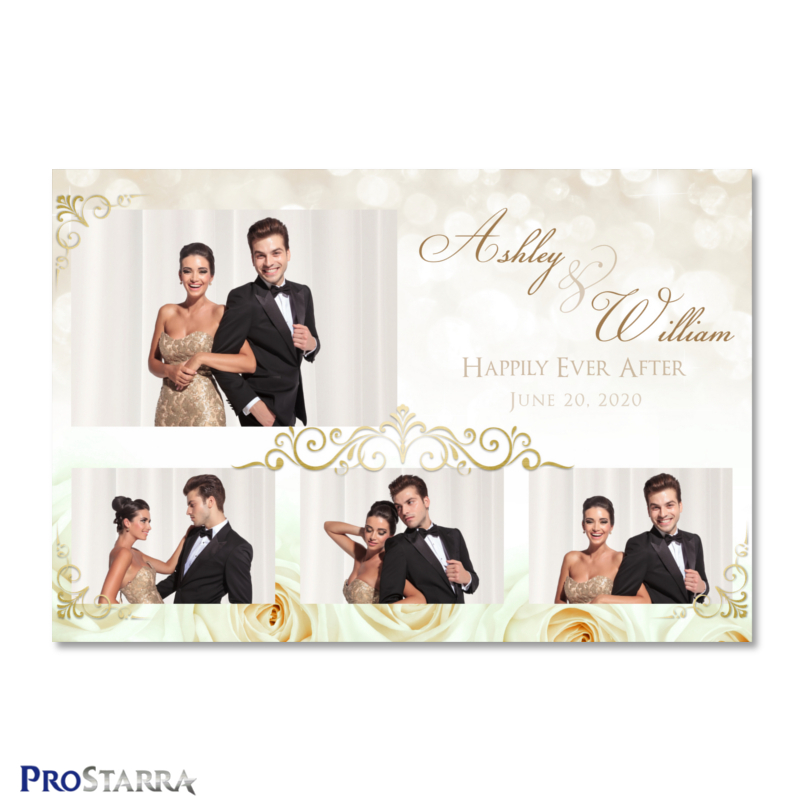 It beautifully melds perfectly soft, crisp roses with the shimmer and sparkle of an with a momentous celebration. 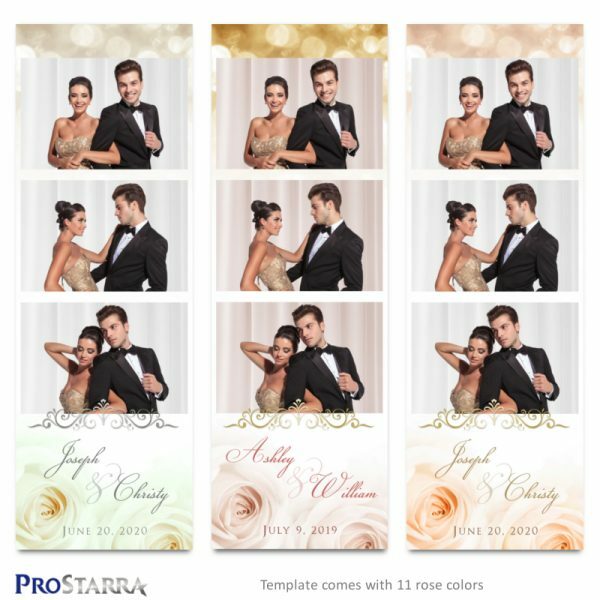 The tastefully muted colored sparkle at the top of the template infuses the layout with feelings of fun and the excitement of a glamorous wedding. The design is refined and sophisticated, yet it has a gentle, simplistic beauty at the same time. It successfully combines tradition and class with more than a hint of glamour and fun. 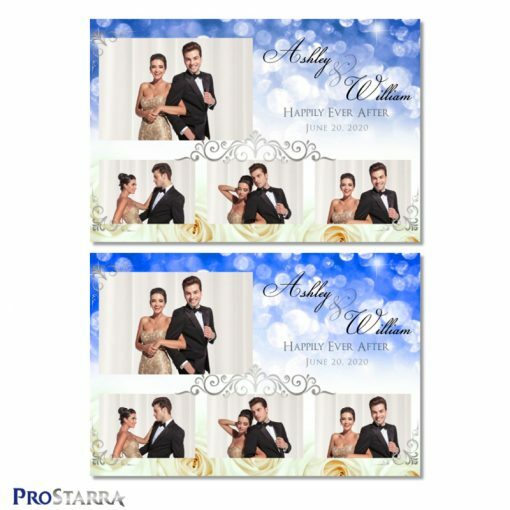 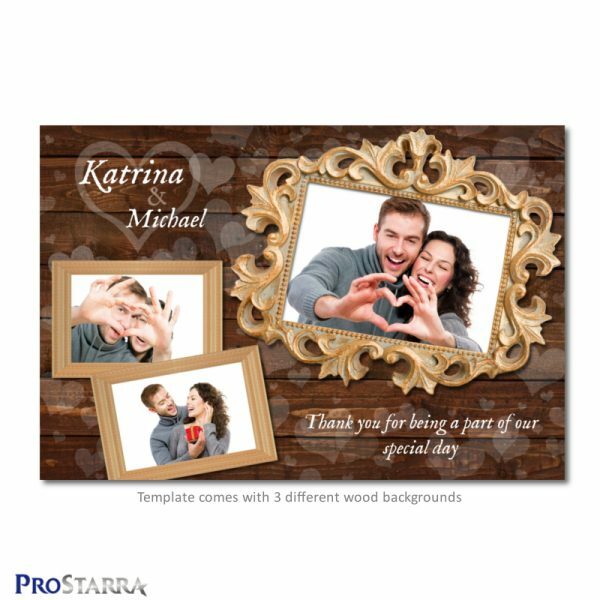 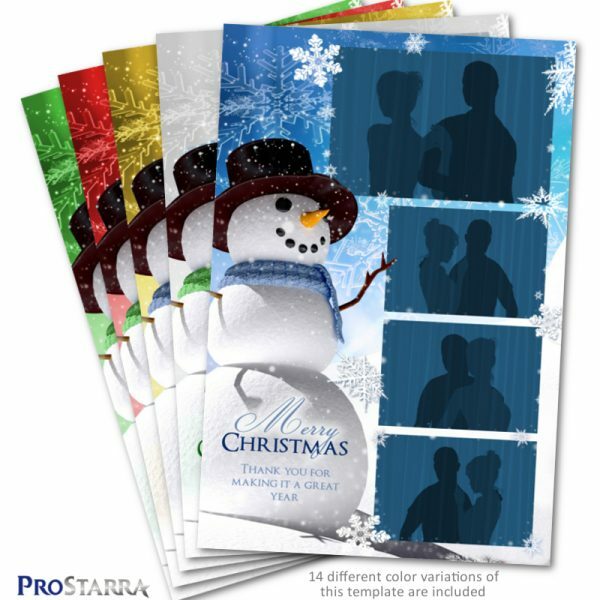 This 6×4 inch photo booth template layout comes ready to instantly elevate a wedding, leave an amazing impression, and leave guests with a truly beautiful wedding favor well worth keeping. 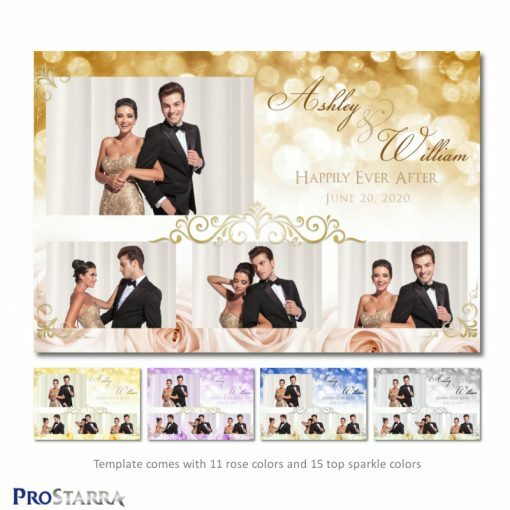 The template comes with 11 roses colors: coral, pink, faint pink, bright pink, lavender, purple, deeper purple, vibrant purple, white, yellow, and peach, The sparkle at the top of the layout comes in 15 colors including: three shades of pink, coral, purple, blue, warm blue, teal, cool green, apple green, gold, rose gold, silver, white, yellow, and peach. 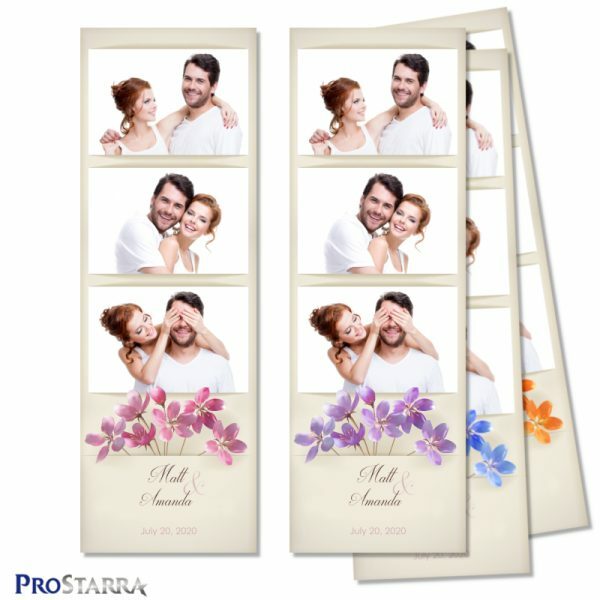 This template works for the following photo booth systems: dslrBooth, Breeze systems, Darkroom Booth, Sparkbooth, and probably other systems too. If you don’t want to spend much time editing photobooth layouts in Photoshop, this template package is just what you want. 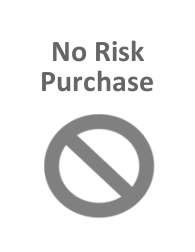 It’s bundled with 252 ready-to-go overlays (as png image files). To get up and running, all you need to do is add your text in your favorite photo booth software. If you prefer to work with two layers instead (background .jpg images and overlay .png images), the package contains 126 background .jpg files (various rose colors with different sparkle colors at the top of the template layout) along with both a gold and silver frill .png overlay.